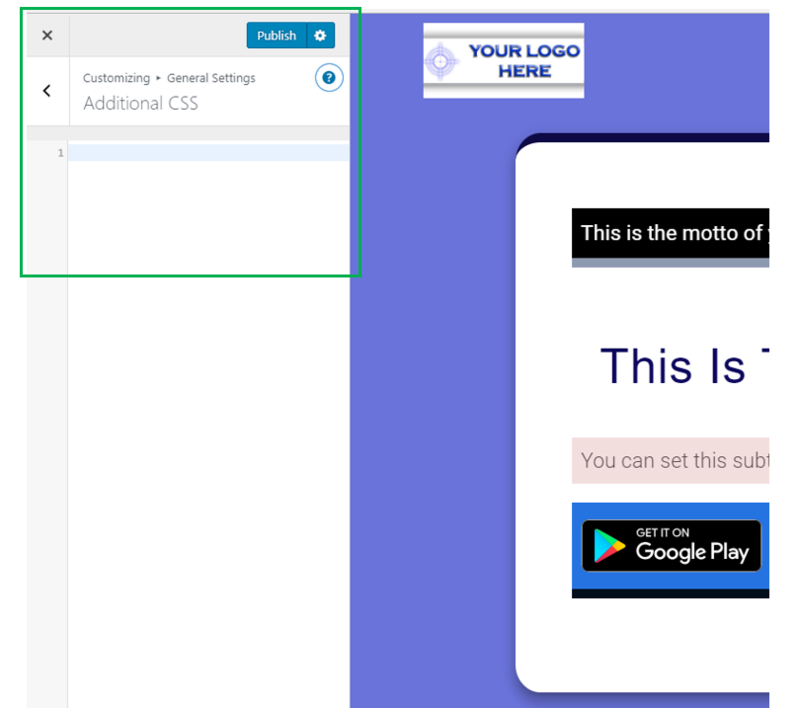 In addition to the general settings you can adjust from this section in the Customizer, you can also insert some CSS that will customize your website even further. Go to the Customizer -> General Settings -> Additional CSS. Fill in the field dedicated to CSS with the code you need. The CSS code will affect the appearance and layout of your website. In the editing area, the Tab key enters a tab character. To move away from this area, press the Esc key followed by the Tab key. Screen reader users: when in forms mode, you may need to press the escape key twice. The edit field automatically highlights code syntax. You can disable this in your user profile (opens in a new window) to work in plain text mode.